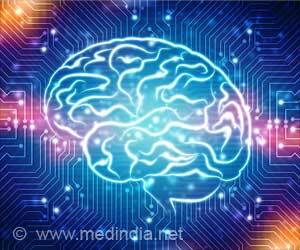 Neurodegenerative diseases such as Alzheimer's disease and chronic traumatic encephalopathy (CTE) can be easily identified using artificial intelligence (AI), reports a new study. The findings of the study are published in the Nature medical journal Laboratory Investigation. A team of researchers has developed an artificial intelligence platform to detect a range of neurodegenerative disease in human brain tissue samples, including Alzheimer's disease and chronic traumatic encephalopathy, according to a study conducted at the Icahn School of Medicine at Mount Sinai. Their discovery will help scientists develop targeted biomarkers and therapeutics, resulting in a more accurate diagnosis of complex brain diseases that improve patient outcomes. A team of researchers at the Center for Computational and Systems Pathology at Mount Sinai developed and used the Precise Informatics Platform to apply powerful machine learning approaches to digitized microscopic slides prepared using tissue samples from patients with a spectrum of neurodegenerative diseases. Applying deep learning, these images were used to create a convolutional neural network capable of identifying neurofibrillary tangles with a high degree of accuracy directly from digitized images. "Utilizing artificial intelligence has great potential to improve our ability to detect and quantify neurodegenerative diseases, representing a major advance over existing labor-intensive and poorly reproducible approaches," said lead investigator John Crary, MD, Ph.D., Professor of Pathology and Neuroscience at the Icahn School of Medicine at Mount Sinai. "Ultimately, this project will lead to more efficient and accurate diagnosis of neurodegenerative diseases." This is the first framework available for evaluating deep learning algorithms using large-scale image data in neuropathology. The Precise Informatics Platform allows for data management, visual exploration, object outlining, multi-user review, and evaluation of deep learning algorithm results. The research team at the Center for Computational and Systems Pathology at Mount Sinai have used use advanced computer science and mathematical techniques coupled with cutting-edge microscope technology, computer vision, and artificial intelligence to more accurately classify a broad array of diseases. "Mount Sinai is the largest academic pathology department in the country and processes more than 80 million tests a year, which offers researchers access to a broad set of data that can be used to improve testing and diagnostics, ultimately leading to better diagnosis and patient outcomes," said author Carlos Cordon-Cardo, MD, PhD, Chair of the Department of Pathology at the Mount Sinai Health System and Professor of Pathology, Genetics and Genomic Sciences, and Oncological Sciences at the Icahn School of Medicine. Artificial intelligence (AI) could offer a new promising way to identify early signs of Alzheimer's, reveals a new study. Chronic traumatic encephalopathy (CTE), may affect people in two major ways: initially affecting behavior or mood or initially affecting memory and thinking abilities, reveals new research.